Charlie Puth plays a show at the BB&T Pavilion in Camden on June 24. 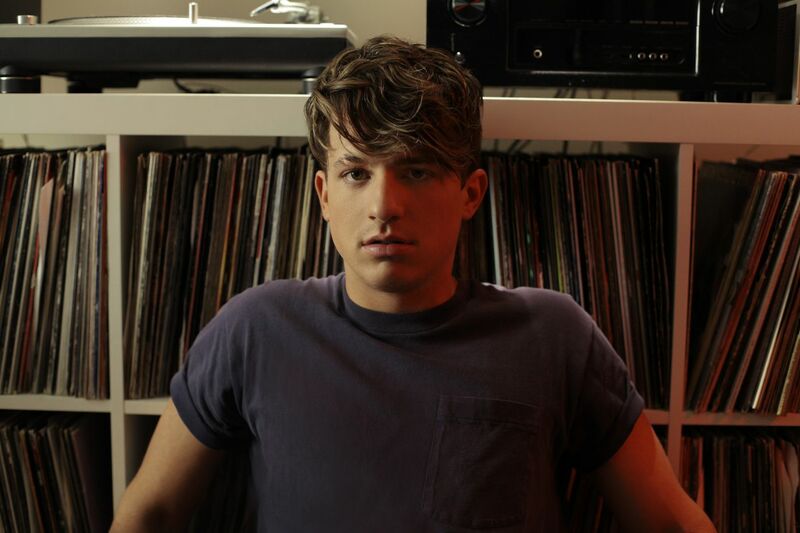 In 2016, young pop singer-songwriter Charlie Puth — the toast of Rumson, N.J. — released the romantically obsessed Nine Track Mind. On the heels of his co-penned "See You Again" smash for the Furious 7 soundtrack, the ballad-heavy Nine Track Mind went platinum, based on its pop perfectionism (think Billy Joel, meets Todd Rundgren) and Charlie's ubiquitous YouTube presence. There was one problem: The Berklee College of Music grad only wanted to be a songwriter, hated the rush job of his debut album, and wound up in Hollywood, the tabloids associating him with Meghan Trainor, Bella Thorne, and Selena Gomez. Back on the East Coast, however, a newly hardened, more soulful-sounding Puth unleashed an edgy single ("Attention") in 2017, followed by a spiky sophomore LP, Voicenotes, in May. Puth will play Camden's BB&T Pavilion on Tuesday. You have perfect pitch. Sure, it’s a blessing — great during arguments, fun at parties — but is it ever a curse, dealing as you do with cowriters, musicians? It can be a curse when I'm trying to sleep and I hear a siren, a fire alarm, or a baby crying. I keep hearing the pitch of those things, identifying them in my head — it's hard to turn it off. But I wouldn't have it any other way. Your mother was a songwriter who penned jingles and urged you toward jazz and classical playing. What did you get from your father in regard to who you are as an artist? I got my R&B palette from him. He introduced me to the Isley Brothers, Luther Vandross, and R&B acts that nobody has ever heard of. That, combined with my mom's love for Americana, and early '70s music. That's pretty much my genre of music. Considering that you’ve had to grow up fast in the music industry, what does Rumson look like through your rearview mirror? Rumson still looks pretty as ever, like a really cool peninsula. I still love going there and traveling to Sea Bright, and going to Windmill for chicken sandwiches and burgers. Voicenotes is heavier than your first album. In my head, I hear the musicality of late ’80s new jack kings such as Babyface, Jam & Lewis, and Teddy Riley. Why did you want to work with that sound for these new songs? People describe it as funky, but, I don't know. … I think it sounds like the Eagles, Ambrosia, more yacht rock-y than anything. It's weird. That sound has always been appealing to me. It's what my mom and dad played on the radio, so, of course I wanted to make records like that. Are you restructuring songs from Nine Track Mind in your current set list to suit Voicenotes’ new sound? I play "Marvin Gaye" like an unplugged version, now with a Rhodes [piano], and kind of "sauce up" the chords a little bit. I make it sound like a New Edition record from 1988. The first single from Voicenotes, “Attention,” sounded as if you were signaling to your audience a shift in your sound toward something harder. It was a turning point for me because, sonically, there was nothing on the radio at the time that sounded anything like it. It separated me from every other act on the radio. It was something that I, myself, wanted to listen to over and over. … I would almost forget that I was the one singing it. That's a big deal for me because I really don't like the sound of my own voice, so it must've been special. Your “LA Girls” is about how fame nearly changed you, made you jaded about life and work. How did you steer yourself the other way? I came back to the East Coast. Honestly. That's exactly what I did, came back and finished the rest of the album after I wrote "LA Girls." “If You Leave Me Now,” features the harmonies of Boyz II Men. What made you want to use Philly’s finest? Did Philadelphia music mean much to you, coming up in N.J.? I learned how to beatbox listening to Fresh Prince and DJ Jazzy Jeff records. Their "Rock the House" was the first time I heard someone beatboxing; I was in the seventh grade. It also inadvertently taught me how to sing because I would hum, and then I'd listen to Rahzel, and he would be humming and beatboxing at the same time. So, without the Fresh Prince, none of my beatboxing skill set would be there. Shout out to Will Smith. I've always loved Philly and its deep appreciation for pop music integrated into R&B. It felt right including the Boyz on this record, because it originally was a record of just my vocals, all me, heavily nodding, if you will, to them, because I am very inspired by their music. You’ve now changed much about yourself and how you are perceived artistically. You’re 26, and hardly set in your ways. Are you expecting another radical shift anytime soon? I really don't know what my next shift is going to be. The shift I made now was right under my nose, but I didn't know that Voicenotes was going to be my sound. I just follow the culture, and wherever life is taking me, so at 28 years old or so, I don't know where I'm going to be.